General Max Hoffmann, chief of the German General Staff on the Eastern Front commented: "We naturally tried, by means of propaganda, to increase the disintegration that the Russian Revolution had introduced into the Army. Some man at home who had connections with the Russian revolutionaries exiled in Switzerland came upon the idea of employing some of them in order to hasten the undermining and poisoning of the morale of the Russian Army." 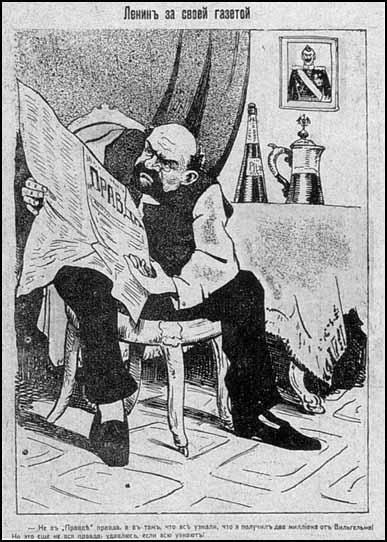 From the moment the news of the February revolution came, Ilyich burned with eagerness to go to Russia. England and France would not for the world have allowed the Bolsheviks to pass through to Russia... As there was no legal way it was necessary to travel illegally. But how? On March 19th there was a meeting of the Russian political emigre groups in Switzerland ... to discuss ways and means of getting back to Russia. 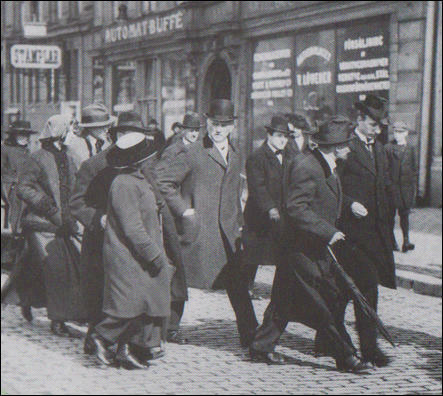 Martov presented a plan to obtain permits for emigrants to pass through Germany in exchange for German and Austrian prisoners of war interned in Russia. 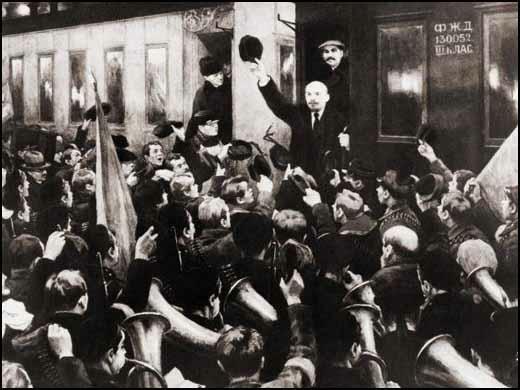 But no one wanted to go that way, except Lenin, who snatched at this plan. 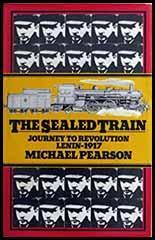 When news came that the German Government would give Lenin and his friends safe passage through Germany in a "sealed train" Lenin wanted to leave at once. The disruption of the Entente and the subsequent creation of political combinations agreeable to us constitute the most important war aim of our diplomacy. Russia appeared to be the weakest link in the enemy chain, the task therefore was gradually to loosen it, and, when possible, to remove it. This was the purpose of the subversive activity we caused to be carried out in Russia behind the front - in the first place promotion of separatist tendencies and support of the Bolsheviks had received a steady flow of funds through various channels and under different labels that they were in a position to be able to build up their main organ, Pravda, to conduct energetic propaganda and appreciably to extend the originally narrow basis of their party. 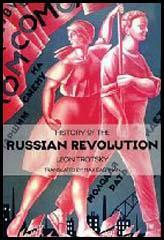 We naturally tried, by means of propaganda, to increase the disintegration that the Russian Revolution had introduced into the Army. 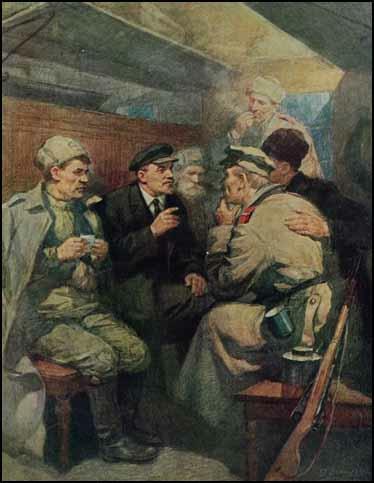 Some man at home who had connections with the Russian revolutionaries exiled in Switzerland came upon the idea of employing some of them in order to hasten the undermining and poisoning of the morale of the Russian Army. He applied to Reichstag deputy Mathias Erzberger and the deputy of the German Foreign Office. And thus it came about that Lenin was conveyed through Germany to Petrograd in the manner that afterwards transpired. In the same way as I send shells into the enemy trenches, as I discharge poison gas at him, I, as an enemy, have the right to employ the expedient of propaganda against his garrisons.